Spring has sprung, and the fresh produce aisles are bursting with colour and variety. It’s time to bring out the colourful salads again! Whether you’re breaking in the first of the berry season, indulging in a hearty pumpkin salad on a cool spring evening, or spending a weekend soaking up the sun with a delicious warm atlantic ocean trout salad – your salad dressing can make all the difference. Making the salad dressing is the easy bit. Knowing which salad to pair it with is a little trickier. If you’ve got a fruity salad filled with grapes, berries or citrus, you’d be wise to use a lighter salad dressing. Creamier, heavy sauces pair well with heavier veggies – potatoes, beetroot, carrot and more. Then, get into the specifics: seafood salads love lemon-based dressings, while root vegetables pair beautifully with onion and yoghurt dressings. Experimenting with oils, vinegars and lighter dressings makes for simple but mouth-watering flavour profiles (plus, they’re usually very easy to throw together). Why not try a simple olive oil and balsamic number, play around with infused vinegars, or drizzle a pomegranate molasses over your colourful platter? Don’t forget that oils provide more than just flavour. For example, massaging (kneading) your kale leaves with olive oil, lemon juice and salt releases delicious natural sugars and softens the leaves, making this superfood ingredient a whole lot more palatable. Nuts are best known for their crunch and texture. But they’re underrated for their beautiful creamy consistency and punchy flavours when blended in a dressing. 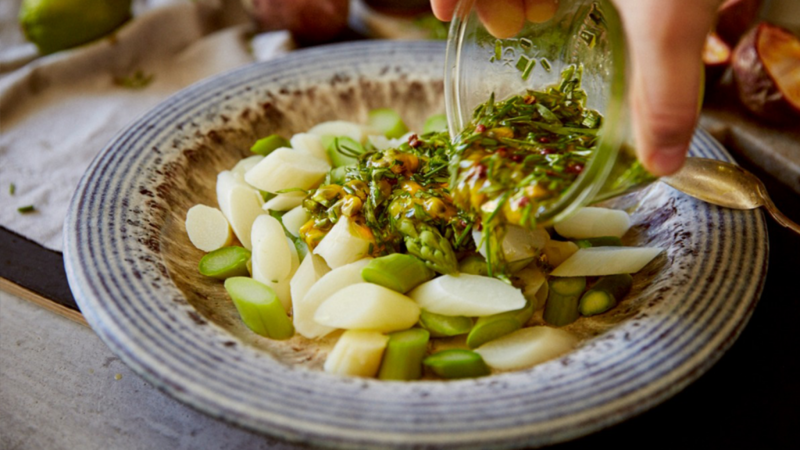 From pesto to satay-style peanut creations – perfect for Asian-inspired salads and meatier dishes – and cheesy cashew dressings that pair perfectly with root and green vegetables, you’ll love experimenting with the flavour profiles in a delicious nut dressing recipe. Easy to make, and easy to adjust if you’re feeling creative. When making it for a single salad, start with small amounts and adjust to taste, while larger salads will require bigger quantities of all your ingredients (generally starting with roughly ¼ to ½ cup of oil). 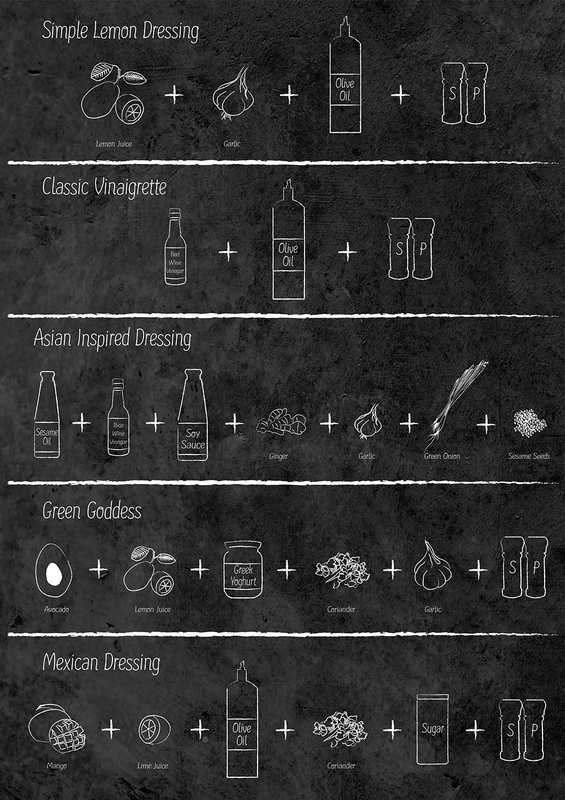 If you’re ready to start experimenting with your salads and building your own salad dressings, here are some of our favourite combinations.